It is a Signal for the preservation of endangered species: Japan has failed before the International whaling Commission on commercial whaling. Animal rights activists can breathe again. It could be a fateful day for the world’s largest and most endangered mammals in southern Brazilian Florianópolis. However, the International whaling Commission (IWC) rejected a meeting with 41 votes to 27, the Japanese request for the lifting of the whaling moratorium. The European Union voted against the Japanese proposal. Thus, the main decisions of the conference. The Japanese had advocated the re-introduction of commercial whaling on the grounds that the extinction of the sea’s mammals is a current risk. 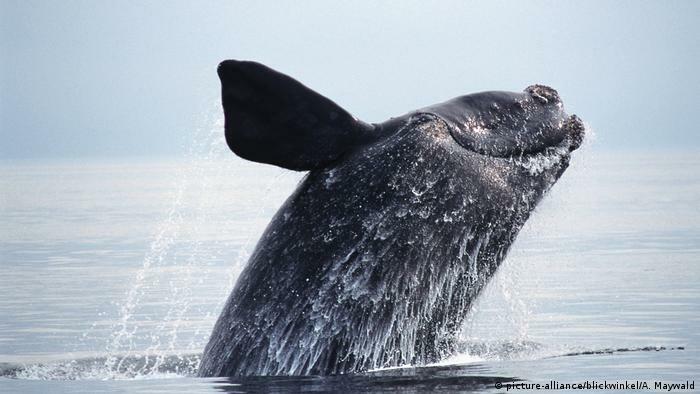 After 32 years of fishing moratorium, a “sustainable” whaling is possible. The fight against threats such as ship traffic, underwater noise and by-catch should be continued and intensified. “Commercial whaling again, would have drawn a repeal of the prohibition of Trade in whale products,” said Nicolas Entrup of ocean care. Whaling moratorium and prohibition of trade were closely linked. Japan hunts under the loophole of the approved scientific whaling each year, about 600 whales. Norway and Iceland, which does not acknowledge the Moratorium to hunt whales for consumption.